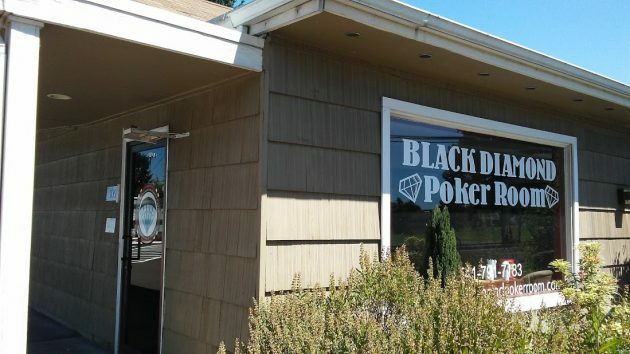 Passing this poker room on Old Salem Road on a bike ride Sunday, I naturally wondered whatever happened to the legislature’s attempt to shut down places like this? As it turns out, the bill what would have banned private poker clubs died at the end of May. House Bill 2190 had passed the House on a 39-16 vote back on April 27. This occasioned a commentary here that asked why legislators would want to outlaw an apparently harmless entertainment that at least some people seem to enjoy. In the Senate, though, the bill died in the general government committee, chaired by Chuck Riley, D-Hillsboro. At a work session on May 31, Riley announced he would not move the bill. Remarks by committee members Floyd Prozanski, D-Eugene, and Kim Thatcher, R-Keizer, implied that a work group would take up questions about the law on “social gambling” after the 2017 legislature adjourns. The Oregon constitution prohibits “casinos,” but a state law says the ban does not cover “social games,” which local governments are free to allow and regulate. HB 2190 would have limited this authority to only games operated by charitable, fraternal and religious organizations. There seems to be some confusion about just what the law does and does not allow. In 2010, the state Justice Department wrote a 16-page opinion trying to explain it in great detail. Prozanski suggested at the May 31 committee meeting the department may be asked to revise its 2010 opinion. One complication is that establishments are not supposed to profit from the games themselves, though they can sell players food and drink. Dealers typically have been volunteers paid only with tips from the players. The state labor commissioner has said it’s illegal for volunteers to work at these places. But if they’re paid as employees, presumably that would violate the ban against the house profiting from the games.